Peter Smith is internationally recognized as one of the world’s leading thinkers on Place Governance and the role that Government, the private sector and the community can play in successfully activating public spaces to achieve economic, social, creative and sustainable outcomes. Peter has over 30 years’ experience working in senior executive roles in Federal, State and Municipal governments in Australia, with particular experience in leading major urban renewal programs and developing and implementing a range of successful affordable housing, community development and social justice strategies and programs for Government. 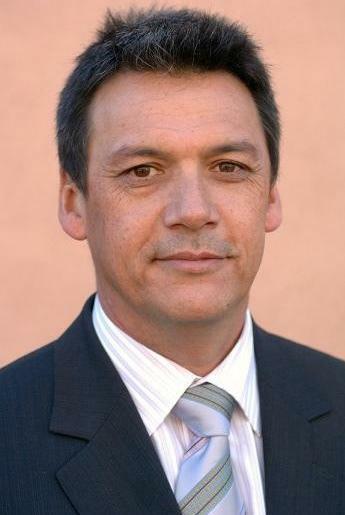 Most recently he led the implementation of an award winning Placemaking strategy at Adelaide City Council during his seven year term as the CEO (City Manager) which has led to the renaissance of inner city Adelaide in South Australia. Peter pioneered a unique three pronged approach to implementing the City Placemaking strategy by linking public space activation to changes in the culture and governance processes of the City administration, whilst at the same time building the capacity of the community and private sector to manage and influence public space through a “place led” approach. The Adelaide City Council Placemaking strategy is a central strategy which underpins the City plan “One City Many Places” and its success is measured through a unique “Place Capital Index” that measures holistic outcomes and the contribution of public spaces to the City’s success. Peter is the recent past Chairman of Place Leaders Asia Pacific a network of over 100 public and private sector organizations and individuals that are interested in Placemaking. In this role he championed Placemaking across Australia, New Zealand and SE Asia and he remains as a strategic advisor to the current Board. Peter is a member of the steering committee for the PPS Future of Places partnership with UN Habitat and the Swedish Ax:son Johnson Foundation, and through this Committee has played an active role in applying Place Governance models internationally, over the last three years. Peter Smith has been generously supporting PPS’s Placemaking Leadership Council, and gave a presentation on Adelaide’s shift to a “place-led” Place Governance strategy for our Detroit and Pittsburgh meetings. Peter is a sought after public speaker and has key noted on Placemaking at a number of international conferences. Peter is now the Principal of Place Governance Partners (PGP), a consulting firm established to assist municipal Governments, not for profits, the private sector and local communities to implement Placemaking strategies at the local and City level. PGP also provides assistance to Governments in organizational strategy and development, development management and urban renewal and the development of co-contribution partnerships. Current and past clients include the Michigan Municipal League, Place Making San Francisco, the AIA San Francisco and a number of municipal governments in Australia.